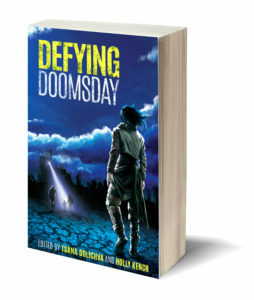 Join Defying Doomsday co-editor Tsana Dolichva and authors Lauren Mitchell and Kristy Evangelista, as well as author of the upcoming collection of filmmaking essays Something New Can Come Into This World, Grant Watson, for a Q&A on the making of these two new Twelfth Planet Press releases. These titles will be available for sale/preorder at this book launch panel. Cost: Entry to Continuum 12 is a gold coin donation on Friday evening.